………..The latest release from Microgaming in 2014 is the much awaited sequel to the cult slot machine Avalon, appropriately named Avalon 2 . Within the workings of this quintessentially classically designed 5 reel slot, equipped with 243 ways to WIN, you are taken on a journey through the mythical worlds, guided by Merlin in a quest fabled by King Arthur to find the Holy Grail! The max bet is 75 Euros, and you can win up to 120,000 Euros using this stake in a single game round winning! Get spinning! 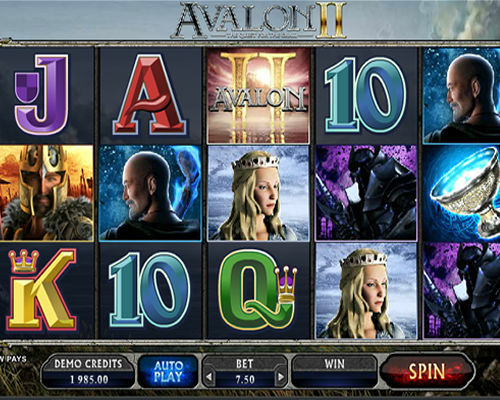 There are a multitude of different bonus games within Avalon II. Our favourite is the Grail Bonus which is an eight-step quest where you have the chance to reforge Excalibur, spin the Wheel of Fortune and defeat the Black Knight to recover the Grail. Each subesequent game round delivers scores of winning opportunities and immerses you into the deeper mythology of the game and of course increases your bank balance. In addition, there is a Merlin Bonus to further increase your winnings, plus Wild, Multiplier, Scatter and Bonus Trigger symbols and Rolling Reels, Trailing Wilds, Extra Wilds and Expanding Wilds in the Base Game! Avalon 2 Bonus Grail Games: You can play up to eight bonus games on your quest. After each bonus game you are returned to the regular slot game. Each time you activate the Grail bonus game you move to the next bonus game on your quest. All the bets and pay ways played in the bonus game are the same as the spin that activated the bonus game. Cannot be substituted by the expanding wild symbol. Merlin appears after any spin and awards a random multiplier value. Your total win amount for a spin. The Bonus Multiplier feature is randomly activated after any spin. Your total bet amount is multiplied by the multiplier won. All pay ways are permanently enabled for every spin, so you cannot select or deselect pay ways. Four Cherry symbols are displayed on reels 1, 2, 3 and 4. The Bonus Multiplier feature activates. You are awarded a 2x multiplier value on your total bet amount. So, your payout in coins is 300 total coins bet x 2 = 600 coins. 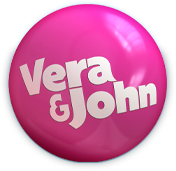 As bonus wins are added to regular wins, your total payout in coins is 1 000 coins for the regular win + 600 coins for the bonus win = 1 600 coins. And your total payout in credits is 1 600 coins won x 0.20 coin size = 320 credits. The purpose of this example is to help you understand how the payouts work. The actual game, symbols, reels, paylines, cards, betting positions and payouts may be different in the casino you are playing at.